The challenge for Week 16 is to check out the online library catalog of a university. You may use one close to you, or one in the area of your research. Colleges and universities have wonderful archives, many of which are valuable to historical research. Browse around the library website and investigate the various archival collections. Make note of ones that may assist you in your own research. I first accessed the resources of a university library in 2004. 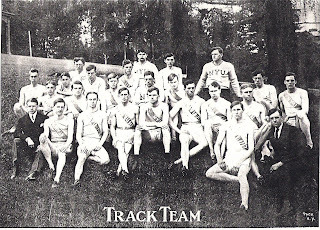 While searching the historical New York Times, through ProQuest Historical Newspapers available online, I found articles listing my grandfather as being on the track team for New York University around 1904-1906. I began looking around the NYU website and the various libraries the university has. After finding this Collection: New York University Archives - This collection contains preservation copies of various New York University publications, primarily yearbooks, dating from the mid-1990s back to the first years of the University's history, I wrote to the reference desk asking for information on their yearbook collection. 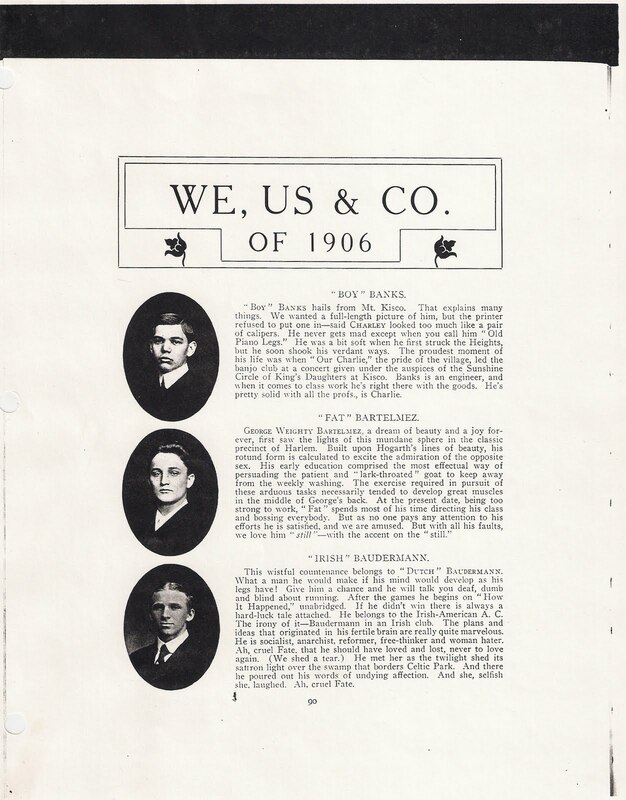 One of the NYU librarians contacted me fairly quickly with news of photographs and other materials she had found. Sending in the required payment for copies and postage I awaited the arrival of my package. 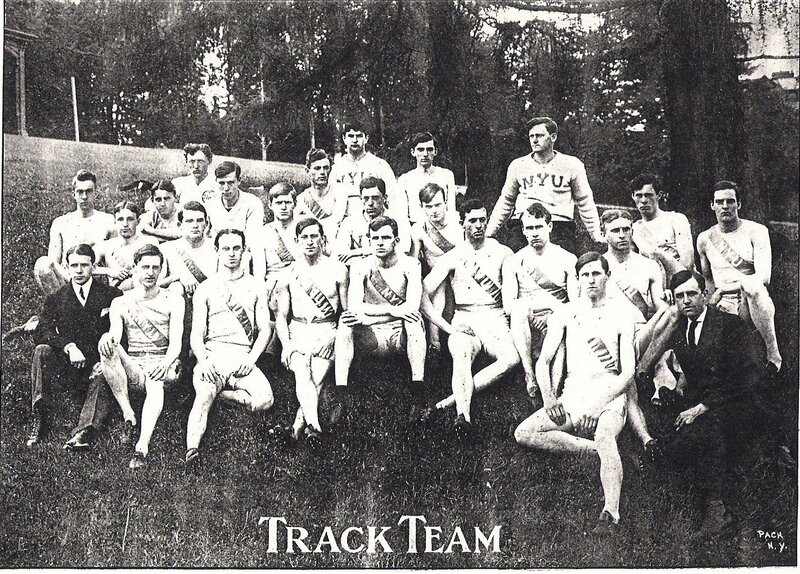 I received a copy of a yearbook page for the year of my grandfather's graduation as well as photos and information on the track team, eight pages in all. 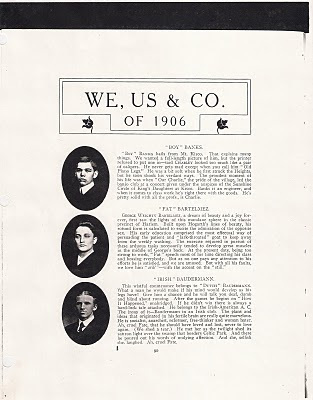 My grandfather's bio is the bottom one on the page "Irish" Baudermann. Interesting as his mother and father were both born in Germany! I would also love to know more details on the girl who broke his heart! This challenge has inspired me to go back to the NYU library and perform further research. As with other challenges in this series, a light bulb came on and I have a new avenue to explore! Great post! So glad you found such good family info!